Boiler Feed Systems – Messplay Machinery Co.
Grundfos and Carver boiler feed pumps typically take water at 230 F from the deaerator and add enough pressure to force the feedwater into the boiler to replenish its needs. The most efficient boiler feed pumps are of the multistage ring section design which minimizes motor horsepower requirements. The pumps can be in vertical or horizontal configuration and require the use of high temperature mechanical seals. U.S. Deaerator manufactures custom boiler feed systems, either free standing or in conjunction with a deaerator. 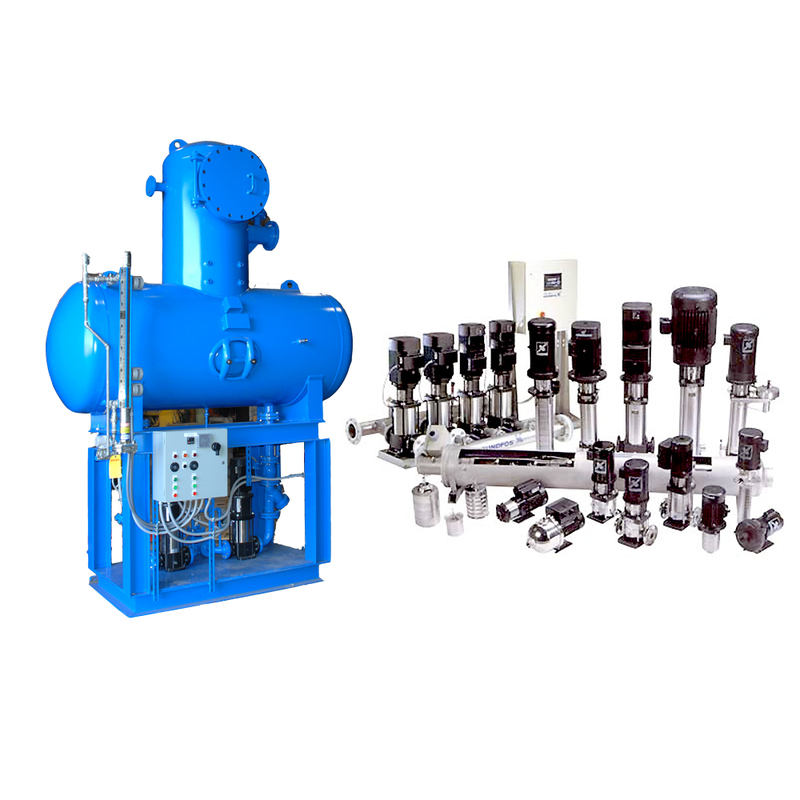 A wide variety of feed pumps are available along with custom control panels and automatic recirculation systems. Pumps can be skid mounted with suction and discharge headers pre-piped containing all valves, flow monitoring and pressure gauges.